University Communications focuses on building the brand, enhancing the reputation and growing public understanding of the University of Chicago, where rigorous inquiry shapes fields, creates a transformative education and experience, and confronts the most important problems of our time. The communications team in collaboration with UChicago Creative, the University’s in-house creative agency, specializes in content creation, media relations, public affairs, brand strategy, and video and audio production for the University, while serving as a communication partner and center of excellence across UChicago. FOR ALL MEDIA INQUIRIES PLEASE CLICK HERE. Whether sharing field-defining research or highlighting UChicago’s impact on the world, University Communications tells the story of UChicago and strengthens the University’s brand by creating engaging, informative and timely content that ranges from podcasts to the latest university news in close collaboration with campus communication leaders. From media requests to speak with leading experts on UChicago’s faculty to inquiries about University programs, the media relations and public affairs team works with University leadership, faculty and communications partners across UChicago to help broaden public understanding of the University and drive media engagement around key projects, initiatives and appointments. Social media provides a growing opportunity to connect with an array of important audiences. University Communications leads planning, strategy and outreach for a range of University social channels, while working in close collaboration with schools, divisions and other partners across UChicago on their social media strategies. There is no place like UChicago, and University Communication works to ensure that’s reflected through the unique visual identity of UChicago, building and growing the University’s brand. These efforts are led by UChicago Creative, which maintains the University’s identity guidelines, facilities licensing requests and serves as a key partner across the University. 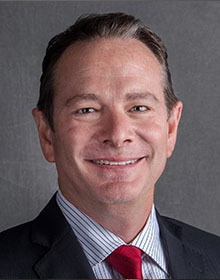 Paul M. Rand joined the University of Chicago as Vice President for Communications in August 2017. Rand leads the development of strategic and digital communications in support of academic programs, University initiatives and institutional priorities. 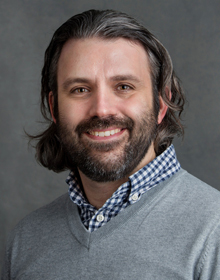 Jeremy oversees the University’s external communications and all interactions with news media, including strategies for outreach to increase public understanding of the University’s activities in research and education, and communications on institutional issues. Ben Rissman joined the University of Chicago as Assistant Vice President for Digital Communications in October 2017. 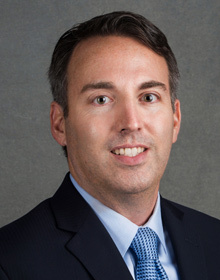 Ben oversees the development, adoption, and implementation of strategies to ensure that the University, its schools, divisions and units effectively leveraging the power of digital and social media as communications platforms. 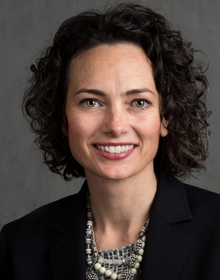 Candace D. Mueller joined the University of Chicago as Executive Director of Communications Strategy and Chief of Staff in August 2017. Mueller ensures the Office of Communications is strategically and organizationally equipped to produce outstanding communications in support of the University’s mission, vision and distinctive strengths. 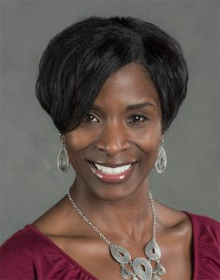 Andrea A. Lewis is Associate Dean of the College and the Senior Director of College Communications at the University of Chicago, responsible for leading communications and reputation management for the College. Mark Peters is Senior Director of News and Content, working with colleagues across campus to tell the story of UChicago. He oversees the creation of an array of content from news announcements and feature stories to podcasts and videos, while developing and executing key projects and initiatives for University Communication. Marielle manages emerging institutional news and issues, high-profile crisis situations, broad issues affecting higher education, media and public relations, and sensitive topics. 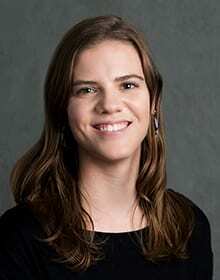 She works with members of the news media and serves as a University spokesperson. Karen Grotto joined the University of Chicago as the Executive Director of UChicago Creative in January 2018. Grotto is responsible for leading the team to deliver strategic, high-quality, carefully targeted and efficiently produced communications. 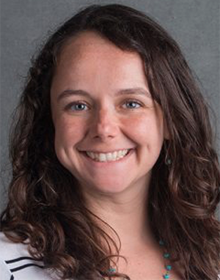 Katherine Ritchey develops and leads internal communications and change management strategies for the campus community. She helps ensure effective communication between the University and its units and Implements communications solutions that support the University’s strategic and operational goals. 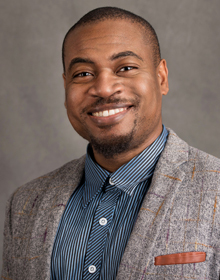 As the Assistant Director of Social Media Engagement in the Office of Communications, Brian Battle oversees the strategy of the university social media channels, as well as providing support for teams across other University of Chicago departments, entities, and partners. 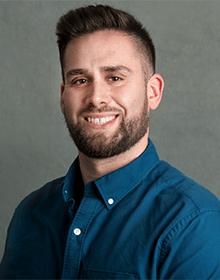 Prior to joining the communications team, Brian worked in the marketing industry as a social media strategist, and previously as an advertising executive with a background in digital, broadcast, print and direct marketing disciplines. Kevin Castro is a social media specialist, helping to manage UChicago’s main social media channels and support social media initiatives across the University. Kevin graduated from the University of Wisconsin-Madison’s School of Business in December 2016. 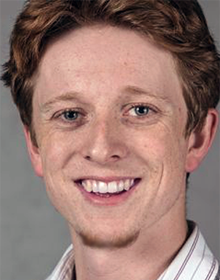 While an undergraduate, he worked in the University’s Communications office assisting in managing the UW-Madison social media channels. 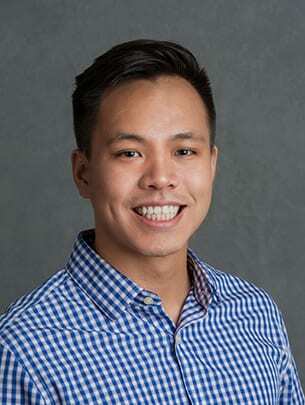 Kevin joined UChicago in 2018 after spending a year managing digital communications for a financial services firm in Madison, WI. Teresa joined the News Office in 1995, serving as office assistant. She is responsible for support needs for the news director, the News Office. and the Office of the Vice President for Communications. Michael Drapa is associate director of news and content, leading the day-to-day operations of the News Office and managing a team of content producers who tell the University’s unique story across its digital channels. Working with partners across campus, he collaborates on the development of stories and multimedia for the UChicago News site and the University homepage. 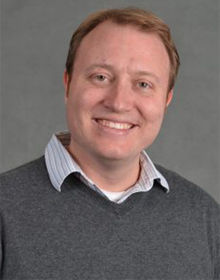 Mike joined UChicago in 2008 following a career in sports journalism and newspapers. At UChicago, he has developed a number of multimedia packages that examine the University’s rich history—notably a story about a World War II-era UChicago project to build the world’s first nuclear reactor and a CASE award-winning profile of renowned civil rights icon and UChicago alumnus Timuel Black. Ryan manages daily content on the University main page and news site, including citations, calendars and multimedia material. He also writes and edits stories, coordinates events and interviews, and curates daily news briefings. 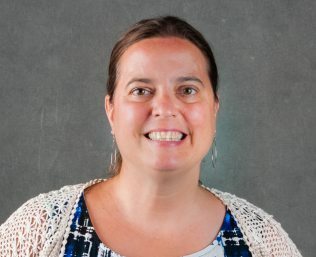 Louise Lerner is the University’s news officer for sciences, focused on research in physics, chemistry, astronomy, molecular engineering, geology, math, statistics and more at the University and its affiliated laboratories. Previously she worked at Argonne National Laboratory as the editor of the lab’s science magazine. She is a 2009 graduate of the College. 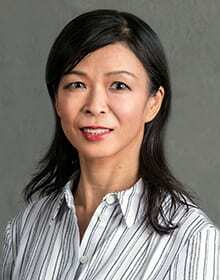 Violet Li joined the University of Chicago as Associate Director of Finance in September 2018. In this role, Violet provides guidance to UChicago Creative on delivering financial targets while creating quality work and building strong brands. 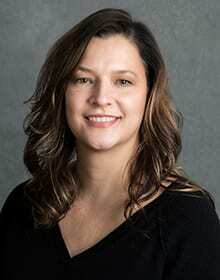 She also manages budget of the Office of Communications which help meet University operating budget goals. Most recently Violet served as client finance director at Leo Burnett Chicago, where she managed financial operations of major global accounts, overseeing contract negotiations, resourcing and client profitability, and supported the launches of award-wining marketing campaigns. She also held finance positions at Kraft and Sears with increasing responsibilities in various functions, including operations finance, marketing finance and global strategies. 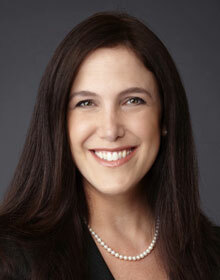 Violet holds a master’s degree in business administration from Vanderbilt University, and a bachelor’s degree from University of International Business and Economics. Mary Naset manages media relations for scientific units across campus where she works with reporters to increase coverage of the cutting-edge research and scientific advancement happening at UChicago. 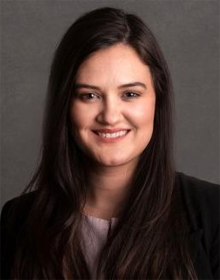 She has worked at the University of Chicago since 2015, previously handling external relations for the Polsky Center for Entrepreneurship and Innovation. Before joining the university, Mary worked in political communications and served on both of Mayor Rahm Emanuel’s campaigns as well as President Obama’s reelection campaign. She received her undergraduate degree from North Central College and is currently pursuing a master’s degree in public policy at UChicago’s Harris School. Amir Nijem joined UChicago Communications as media relations specialist in 2018. Amir helps to accelerate UChicago’s news engine by working with reporters to secure news stories both locally and nationally. Born and raised in Chicago, Amir has deep ties to the city and brings experiences from media internships held at Chicago mayor’s office, Chicago Public Schools, and two public affairs firms, Res Publica Group and Jasculca Terman Strategic Communications. He received a bachelor’s degree from DePaul University. 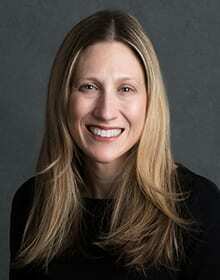 Colleen Mastony is the director of media relations at the University of Chicago. She works with reporters and editors, coordinating media coverage and contributing to key UChicago priorities by increasing public understanding of the University’s educational mission and impact. Colleen runs a daily news engine that drives proactive media engagement and collaborates closely with the digital, social and news content teams. Before joining the University, Colleen was a journalist and worked at the Chicago Tribune, the Palm Beach Post and Forbes. She received her undergraduate degree from the University of Pennsylvania. Rob manages communications for computational programs and research across campus, including the Department of Computer Science, the Center for Data and Applied Computing, and the Research Computing Center. 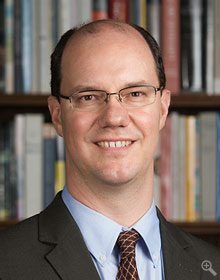 He has worked at the University of Chicago since 2009, previously with the Computation Institute and University of Chicago Medicine. Rob received a Ph.D. in neurobiology from UChicago in 2007, and has written for several news, science and music publications, including the Chicago Tribune and Pitchfork. 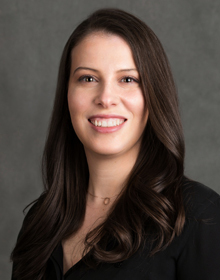 Rita Westenberger joined the University of Chicago as the executive assistant in January 2018. In this role, Rita provides executive administrative and special projects support for the Vice President for Communications, the Assistant Vice President for Communications, and the Assistant Vice President for Digital Communications. 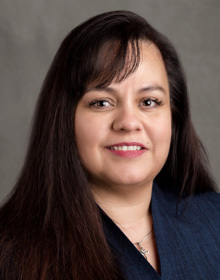 With over 20 years of experience as an executive assistant and project manager, Rita has worked for C-suite executives in a number of industries including telecommunications, higher education and government defense contractors. Rita holds a master’s degree in both project management and business administration with concentrations in international finance and human resources. 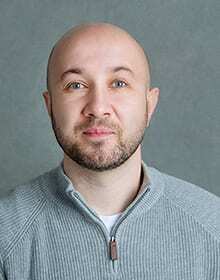 Araz Brifcani is the Manager of Website Development and Optimization. His role is to guide University of Chicago departments and units that are looking to launch new websites and provide innovative digital solutions. 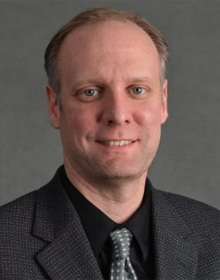 His work is geared toward helping campus partners by defining website project objectives, assessing the technical and content requirements, and providing recommendations covering content platforms, resource requirements, and project architecture. Araz earned a bachelor’s degree in Computer Graphics and MBA from Purdue University. 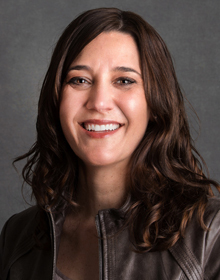 Laurie Buman is responsible for leading all aspects of design, including providing strategic and creative guidance and producing University-wide communications that span print, digital, social, and branding. She helps maintain the University’s brand identity standards and advises on the brand standards for other University departments. 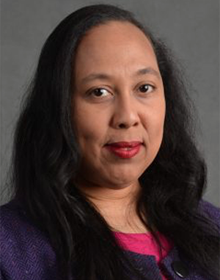 She oversees the University’s licensing review process, ensuring identity compliance for new merchandise in collaboration with the University Bookstore and University Communications leadership. For more than 20 years Laurie led Pigment Design, a full-service boutique design rm. Her client list ranged from start-ups, non-profits, B2B, and B2C to retailers, technology, and global advertising agencies, including Cowboy Andy’s Relish, Friends of the Chicago River, The Field Museum, Office Depot, AT&T, and Critical Mass. She’s a “design geek” at heart and a fine artist. Since joining University Communications in 2010 Eric has managed all aspects of the University Communications infrastructure and technical operations. Eric manages the Communication department’s TV studio, radio studio, webcasting services, video server, media asset management system, and technical infrastructure. Prior to joining the University, Eric worked with many of Chicago’s top advertising agencies and postproduction studios. Nicole Gibby Munguia grew up in southwest Michigan on the shore of Lake Michigan. Seeking adventure and the chance to relocate to an exotic locale, she moved directly across the lake to Chicago. Nicole serves as your first point of contact when you submit a photo or videography project, works with you to determine how our team can best meet your creative project requirements, and ushers projects through every phase of development. Prior to joining UChicago Creative, Nicole worked at the University of Michigan and in the nonprofit sector. In her role as production coordinator, she finally has a justification for creating copious lists, double-checking event details, and adding yet another item to her never-ending list of “topics she’d like to research just for fun.” She holds an MLIS from Dominican University with specializations in Data and Knowledge Management and Digital Curation, and a BA from the University of Michigan. Outside the office you’ll find her with her nose buried in a book (or several) and randomly throwing pop culture references into conversation. 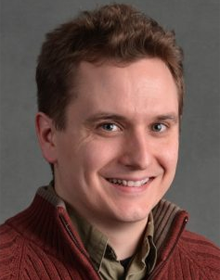 John joined UChicago Creative in 2017 as a producer. For more than 30 years, John has shared his passion for visual storytelling with such organizations as Loyola University Chicago, The Field Museum, and as a member of the Chicago 2016 Olympic Bid Committee. While running a small video production company called The Video Department, John has worked on numerous grant-funded video projects and has worked internationally in India, Nepal, Italy, Costa Rica, Mexico, Africa, and China. His programs have received accolades including two Silver Apple Awards from the National Educational Film and Video Festival, a Blue Ribbon from the American Film and Video Festival, a Gold Philo from the International Television Association, and thirteen Telly awards, which honor the best in non-broadcast film and video productions. John’s other interests include acting and singing, having appeared in numerous community theater musical productions and also serving as a music minister at St. Linus Parish in Oak Lawn, Illinois. 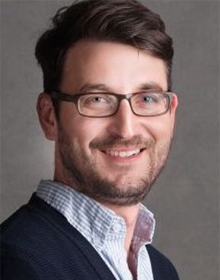 Matt Hodapp launched his career at KCUR, Kansas City’s NPR Membership Station, as the lead podcast producer, launching such successful shows as Statehouse Blend Kansas, Statehouse Blend Missouri and Midwesternish. 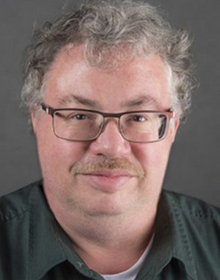 He was the founder of Fountain City Frequency, a podcast network that focuses on providing resources and knowledge to help people in the Midwest produce the shows they couldn’t create on their own. 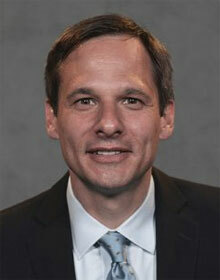 Most recently, he served as lead producer on a healthcare podcast run by Side Effects Public Media. 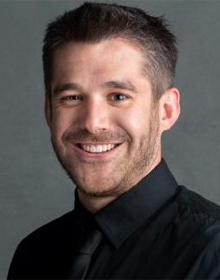 Matt’s work is driven by a passion for the unique effectiveness of audio storytelling to intimately connect with audiences. Robyn Hocker joined the University of Chicago as a for the UChicago Creative department in March 2018. 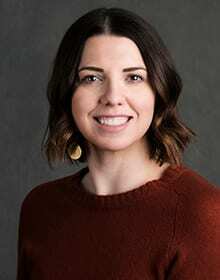 In this role, Robyn helps guide process and communications between departments and vendors for all print, digital and editorial creative projects. She helps to ensure that deliverables are provided on time, within budget and meet creative expectations. Prior to joining the University, Robyn spent the last 9 years working in downtown Chicago for leading advertising agencies as an Integrated Project Manager. 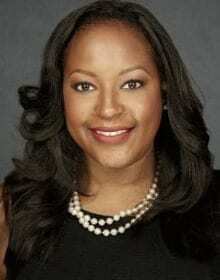 She has worked on national brands such as McDonald’s, PlayStation, Citibank and State Farm. Robyn originates from Indiana from where she graduated Indiana University with a bachelor’s degree in Visual Communications. Renee joined UChicago Creative as a designer in October 2018 and is excited to contribute to the brand of the University through all things visual. She brings experience honed at a boutique creative agency specializing in luxury real estate branding and is excited to work in higher education. When not working, Renee loves lounging by the lake in the summer (and dreaming of her California hometown in the winter). She holds a BFA with a focus in Visual Communications and a BA in Visual and Critical Studies from the School of the Art Institute of Chicago. Brian has more decades of experience in corporate communications than he is willing to admit to. His experience in the creative field runs the gamut from building sets and operating spotlights to coordinating conventions at McCormick Place and managing operations of one of the largest Corporate Communications firms in Chicago. He came to UChicago Creative in 2012, providing finance and operations support and entertaining colleagues with his many stories. As department and financial administrator he is your contact for campus maps, University calendars, and vendor relations. Zach joined the University of Chicago in 2009 as a videographer and became a producer in 2010. He began living behind a camera in eighth grade, when he discovered that doing a video for homework was a lot more fun than writing a paper, even if it was five times the amount of work. 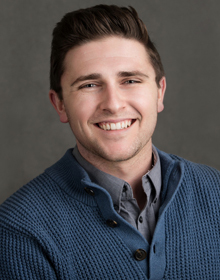 Zach brings his experience to UChicago Creative as a broadcast photojournalist, editor, live truck operator, and field producer. When Zach steps away from the camera, he enjoys hand developing black and white photos. 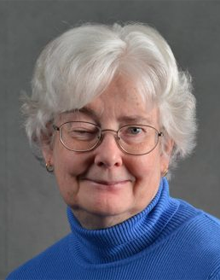 Ellen has worked in University communications since 1982. Over that time she has had varied responsibilities in editorial, management, and print production areas, and has enjoyed working with many, many people across campus and in the community. Known for her “eagle eye,” she is currently concentrating on editorial contributions to UChicago Creative’s projects. She has an undergraduate degree in English and did graduate work at the University of Chicago in classics. Her main interest outside of the office is music. Jean Purcell is the editorial lead responsible for maintaining the University’s brand voice and tone in creative communications across campus. Her role includes concepting, writing and developing compelling content that raises the University’s profile, meets strategic goals, and translates complex research into accessible communications tools from print and digital to social and video. For more than 20, years Jean spent her days as an award-winning advertising copywriter and creative director in both London and Chicago. She worked on a diverse range of clients from The National Geographic Channel and economist.com to MillerCoors and Peroni. Armed with the belief that a good idea has the power to change things, Jean co-created The Angel Band Project–a national non-profit that provides life-affirming music therapy for sexual violence survivors in crisis. Keith Purvis has worked as a film producer and videographer for documentaries, commercials and branded content for over ten years. Starting as an art director and working with high profile clients including Whirlpool, Nike and the AIGA, Keith began looking for ways to merge his love of filmmaking with new media. Purvis founded a new media production company that produced projects for the National Urban League, Martin Luther King Fair Housing Exhibit Center, and many more. A Columbia College graduate and alumnus of Kartemquin Film’s Diverse Voice in Docs program, Keith loves to use film to tell great stories. 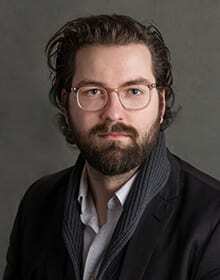 Keith joined UChicago Creative in September 2017 as a writer. 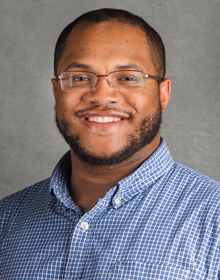 Before becoming a part of the team, he gained experience covering topics in politics, pop culture and higher education for a variety of media outlets, such as The Undefeated, The Black Youth Project, The Daily Dot, and Uproxx. In 2014, he graduated from the University of Missouri-Columbia with a degree in journalism and a focus in magazine writing. When he’s not working, he’s most likely reading – novels, news articles or comic books – or catching his breath after playing with his highly energetic husky, Ryder. 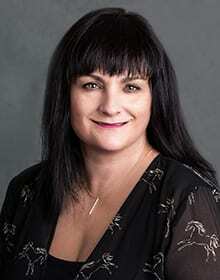 Shawn joined the University in 2012, overjoyed with the opportunity to return to her passion of film/video production. The three-time Chicago Midwest Emmy nominated and Telly award-winning producer has worked as a creative executive at Platinum Studios, a film and TV production company that produced Men in Black and Cowboys & Aliens. She has produced and managed production on a variety of independent film and video projects with budgets ranging from $10K–$1M and worked on several studio features for MGM, Warner Bros., ABC Television and New Line Cinema. 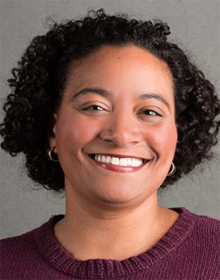 Shawn also had a previous career in advertising as an account supervisor at Burrell Communications, an agency specializing in multicultural advertising and event marketing, where she consistently developed creative strategies and market-moving ideas for P&G, Sprite and L’Oreal SoftSheen-Carson. Shawn holds a project management certification from Caltech and a BS in communications from Florida State University. 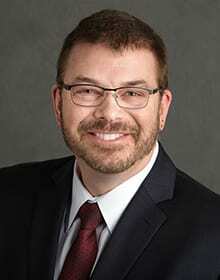 Dan Stremlau joined the University of Chicago as the Director of Creative Operations in March 2019. Stremlau is responsible for providing strategic, operational, and functional leadership that helps ensure the UChicago Creative team is ready to excel at providing the various media needs of University partners. Stremlau believes that everything revolves around a good story, and that making meaningful and emotional connections with an audience is crucial to successful execution across all creative productions and deliverables. He also believes that it should be fun. Stremlau started his career as an award-winning video editor for national clients such as McDonald’s, UPS, Allstate, Motorola and Ameritech. He joined ComEd as a video editor and, over the course of his career there, transitioned from a hands-on team member to leading all operational initiatives for his creative groups. Most recently, Stremlau managed the Creative Media team for Exelon, a Fortune 100 corporation, producing branded content for a wide range of corporate and business unit needs. He helped build a national creative team with a focus on strategic communication partnerships and customer service. Over his 23 years at Exelon, he led their national satellite network, implemented a 15-channel cloud-based video and streaming network, and oversaw multiple SaaS solutions to provide efficient project and work management tools for both staff and client partners. 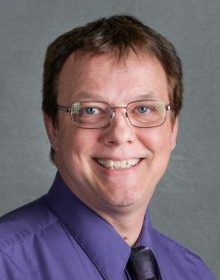 Stremlau attended Lewis University in Romeoville for a BA in Television Broadcasting, and received his Master of Science in Communication from Northwestern University in Evanston. University Communications provides resources, tools, and services to the University community to promote a strong identity and consistent messaging. Among our roles is to set standards and guidelines for representing the University of Chicago and communicating about it. We account for both the importance of traditional media and the influence of mobile devices, social media, and other burgeoning ways to disseminate information. For University of Chicago positions, visit the campus job website.